Stylish and easy to use, the Quest 1.5L Electric Coffee Percolator creates perfect fresh coffee, enjoy anytime using the keep warm function. For Barista style coffee. 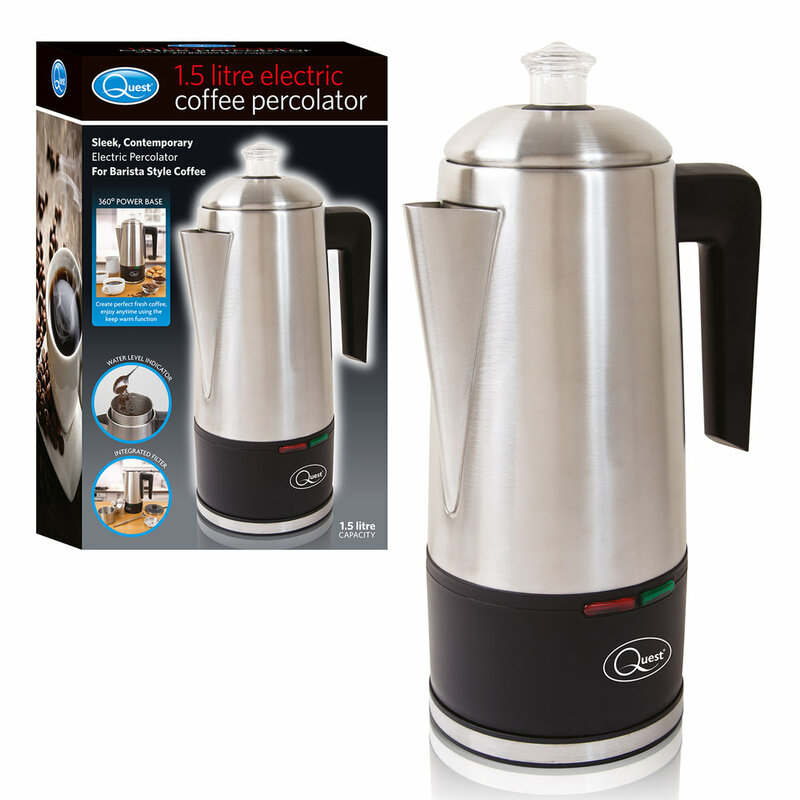 This powerful 1100W stainless steel Electric Coffee Percolator creates perfect fresh coffee, enjoy anytime using the keep warm function. Featuring an automatic cut off and boil dry protection have been included for optimum safety. 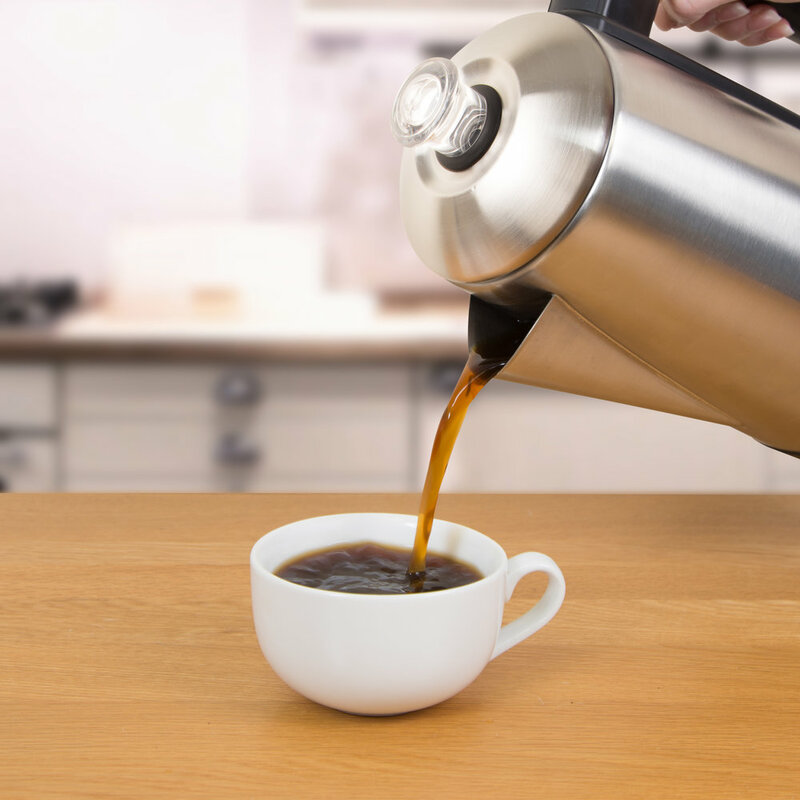 A keep-hot function is also on hand to make sure that your coffee remains at optimum temperature, perfect for those with busy lifestyles ensuring that you will never have to endure a lukewarm coffee again. Boasting a 1.5L capacity, the quest brand coffee percolator is perfect for sharing a caffeine pick me up with friends and family while a keep hot feature ensures that your coffee is always ready! The 360° degrees base makes it easy to use for both left and right handed users.